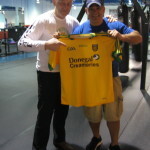 Grandmaster Marchetti and Josie Murray in Florida! One of the great things about being a martial artist is getting the chance to meet so many great people during your travels. People with incredible drive, skill and dedication to their craft. An example of this is the friendship between Grandmaster Marchetti and Josie Murray. 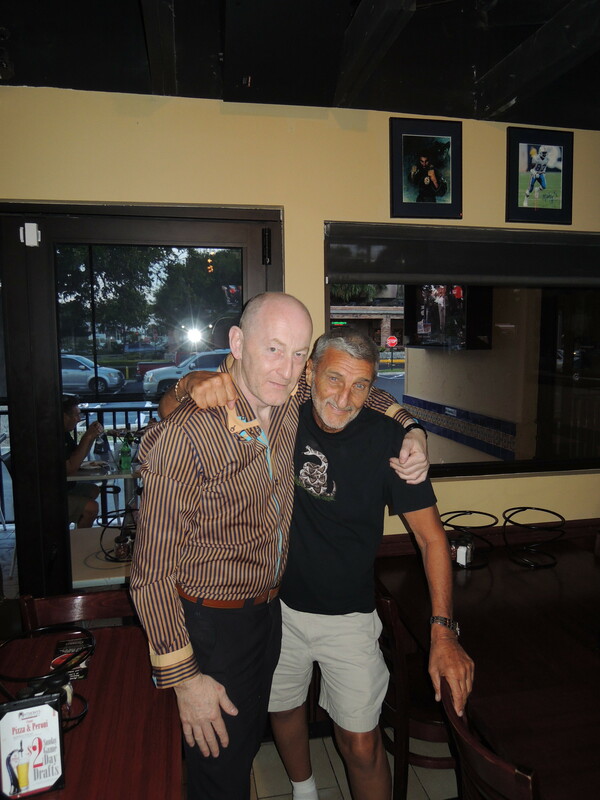 Recently, Mr. Murray visited Florida to receive an award and spent most of a week with Grandmaster Marchetti. For those few of you who do not know of Josie Murray, we urge you to head over to his Facebook page and do some reading. An international champion as both a martial artist and dancer, Josie Murray is also a member of the World Head of Family Sokeship council. 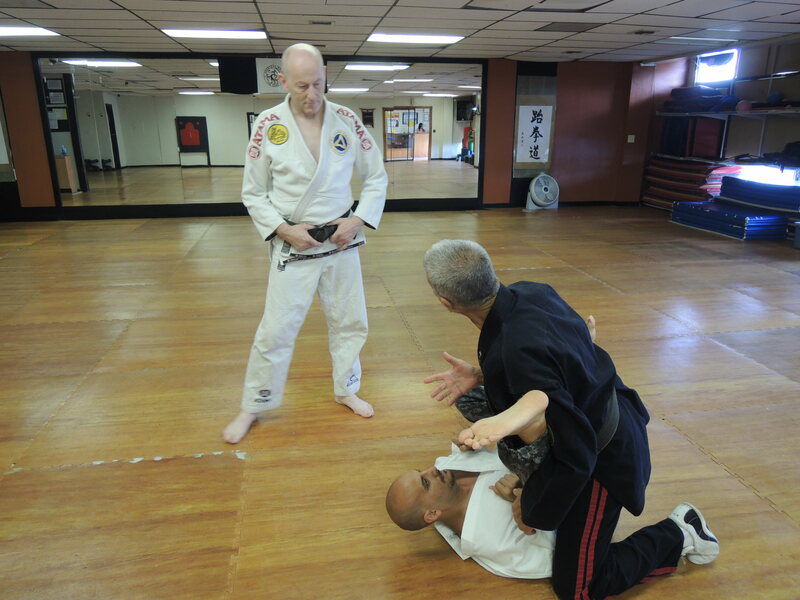 In addition to a first class tour of Fort Lauderdale, Mr. Murray’s visit with Grandmaster Marchetti included a number of opportunities to practice martial arts. The photos below show just some of the highlights. The pair made use of the facilities at American Pride Martial Arts where you can see Grandmaster Marchetti demonstrating some take-down and Ju-Jitsu techniques. You can see them with Robert Genni and Master Cintya Rodriguez. A trip to the headquarters of American Top Team also featured in the schedule. It was during the visit to the ATT HQ that Josie Murray took time to give some pointers to Dustin Poirier for his upcoming fight with Conor McGregor. 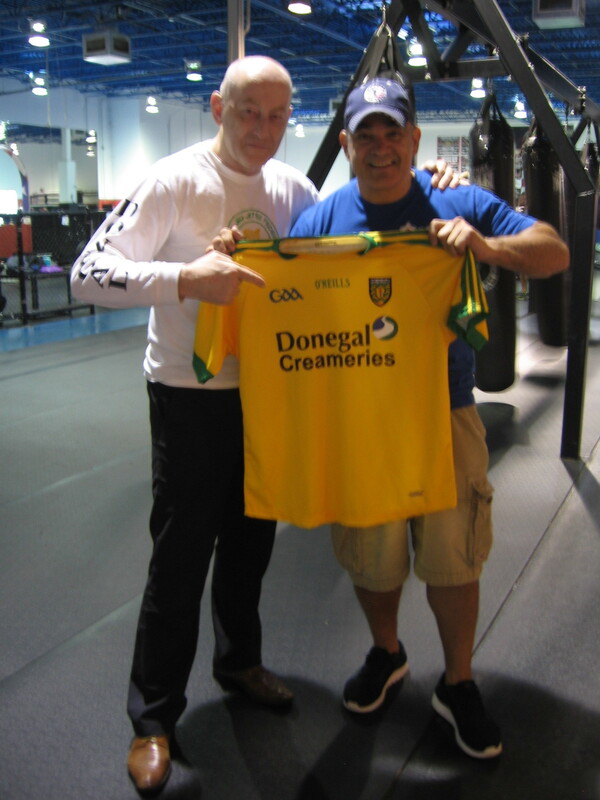 Also pictured from the visit to American Top Team is Grandmaster Marchetti and Robbie Lawler who was training for his re-match with Johny Hendricks after a questionable outcome their last outing. Rounding out the photos from American Top Team is a photo of Ricardo Liborio with Josie Murray. Of course, no visit to Florida would be complete without a visit to Anthony’s Coal Fired Pizza! If you look on the wall you can see Grandmaster Marchetti’s photo which hangs in all 48 locations. 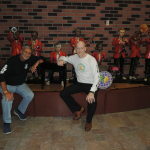 Do you remember pop tenor Ghaleb at the Mardi Gras Casino in Hallandale Beach from a previous update? 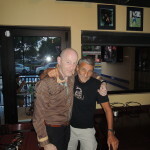 Here he is with Pablo Rivera who plays the violin. Bonus! If you head over to Grandmaster Joe Williams Facebook stream you will find another photo. Of course Josie Murray has many of his own from the trip online as well. Enjoy the photos, and check back often! 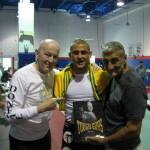 Josie Murray, Dustin Poirier and Gransdmaster Marchetti. Robbie Lawler with Gransdmaster Marchetti. 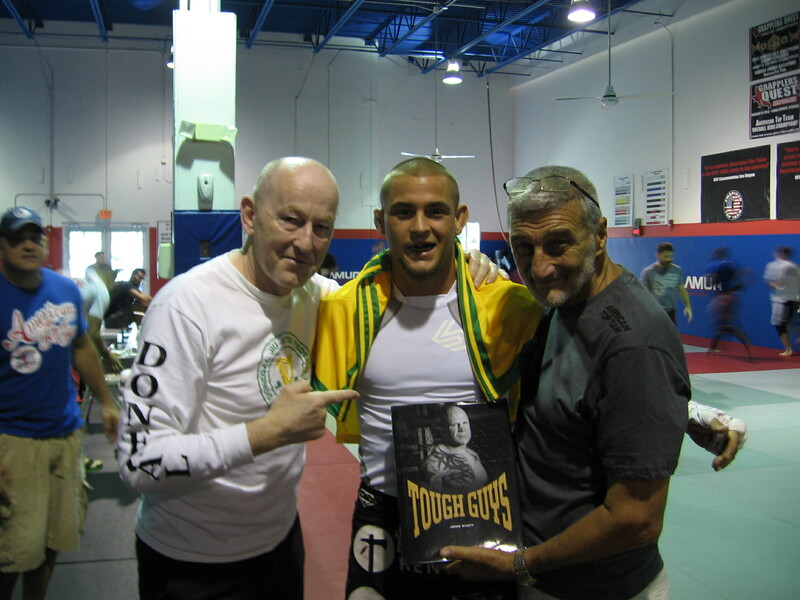 The book is “Tough Guys” and features a number of great martial artists including Grandmaster Marchetti. Josie Murray with Ricardo Liborio, co-founder of American Top Team. Grandmaster Marchetti demonstrates a lock technique for Josie Murray. 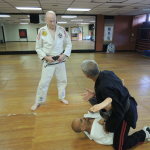 Grandmaster Marchetti demonstrates a lock technique ON Josie Murray. Robert Genni, Grandmaster Marchetti and Josie Murray. 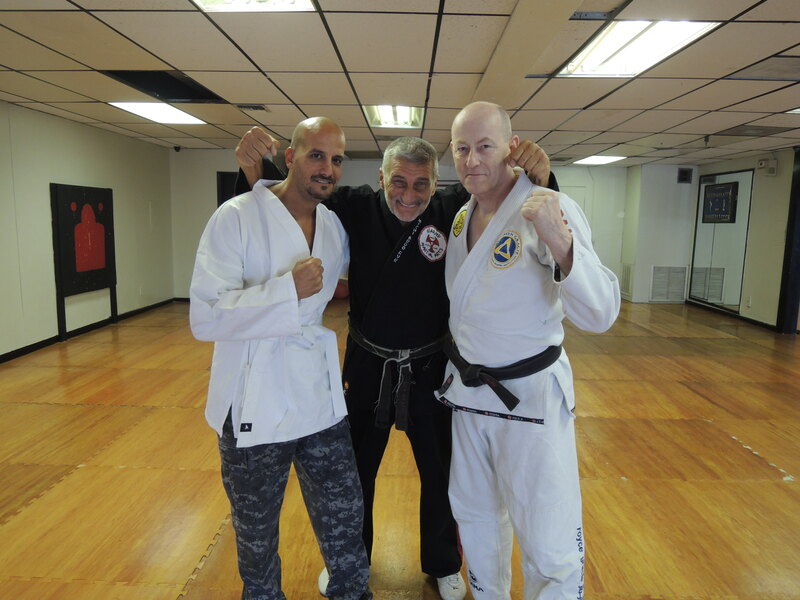 Grandmaster Marchetti, Josie Murray and Robert Genni at the American Pride dojo. 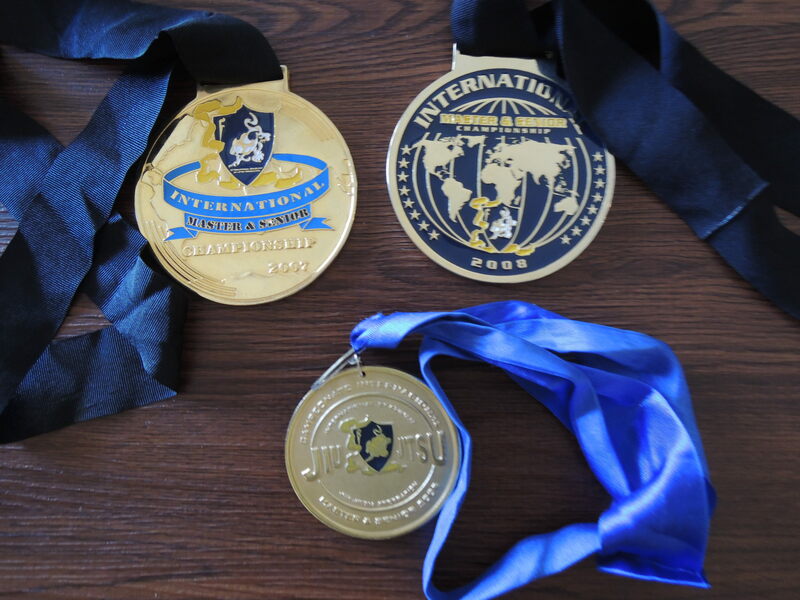 Some of the Ju-Jitsu medals Josie Murray won in Brazil 2 1st and 1 2nd place. 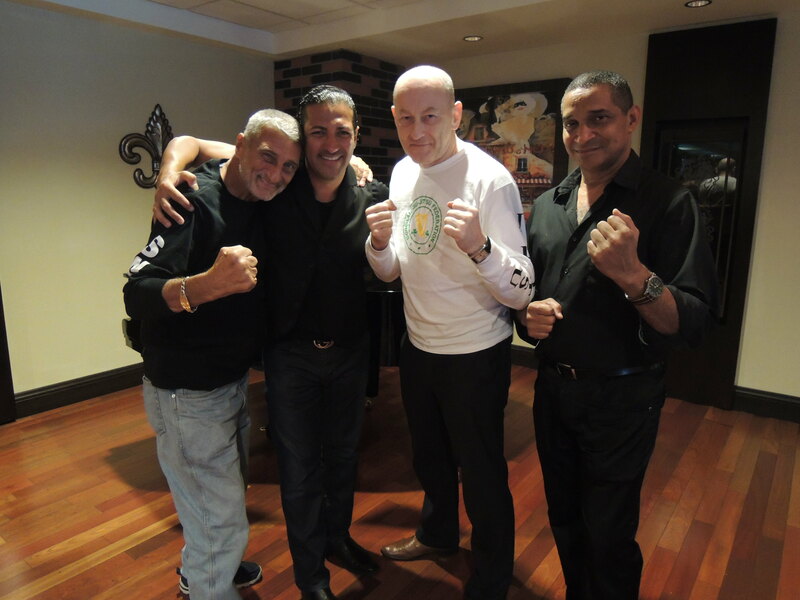 Grandmaster Marchetti, Ghaleb, Josie Murray and Pablo Rivera at the Mardi Gras Casino. Josie Murray and Grandmaster Marchetti at Anthony’s Coal Fired Pizza. Notice the picture on the wall? Grandmaster Marchetti and Josie Murray relaxing at the Mardi Gras.